Just about every Game of Thrones fan has given some time to imagining their favorite character claiming the Iron Throne by the end of the series. But now they don’t have to. Imagine, that is. 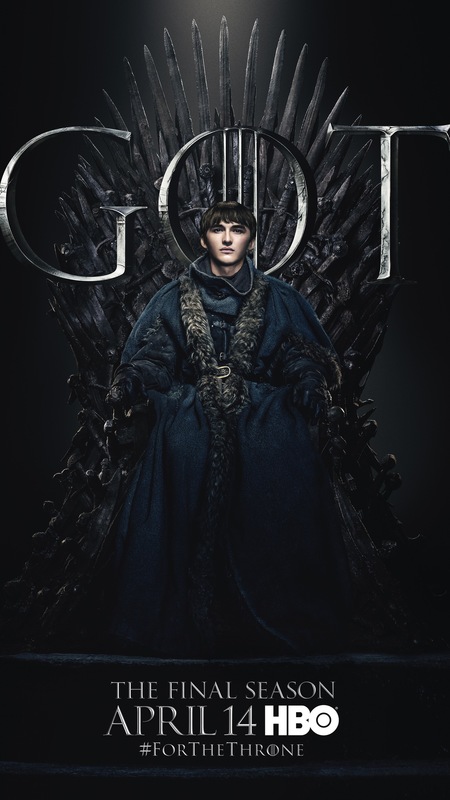 In anticipation of the upcoming final season of the sweeping fantasy drama, HBO has released 20 official character posters today via Twitter, each featuring a prominent (read “still alive”) character from the series who just may get to plant their bottom on the coveted throne. The broody poster series includes just about everyone, from obvious choices such as Jon, Daenerys and Jamie to long odds such as Euron, Varys, Sam, and even the well meaning but forever friend-zoned Ser Jorah. But for those fully expecting a relentlessly remorselessly bleak end to the long running series, there’s even a poster of the Night King in the collection. The final season of Game of Thrones will debut Sunday, April 14. HBO tells us you can catch-up (or re-watch) all seven seasons on HBO NOW, HBO GO, HBO On Demand and partners’ streaming platforms. Follow @ScreenSpy on Twitter for more Game of Thrones scoop this season.